Join us, as we put new soundings on the chart and explore hidden coves, relax in the raised saloon after a climb, or tie up right off the beach for the best views of wildlife. With over 14 years sailing in high latitudes, Hamish Laird is one of the most experienced skippers in the business, and he has put that knowledge into all the details of the SEAL. Kate and Hamish Laird welcome you aboard SEAL. We spent four years designing and building her specifically for high latitude charter work, supporting scientific and adventure expeditions. After a season in Greenland, we sailed south down the Atlantic and spent last season in Antarctica, Cape Horn, and the Beagle Channel. SEAL has exceeded our expectations over the last 26,000 miles, and we're very pleased with how she's worked in the Arctic and the Antarctic. Hamish has spent 14 years working in remote regions. He first sailed to Antarctica in 1988, and spent six years as the full time skipper of Pelagic, one of the pioneering charter yachts in the region. He's skippered expeditions to Greenland, Antarctica, South Georgia, the Falklands, Tierra del Fuego, and Cape Horn. 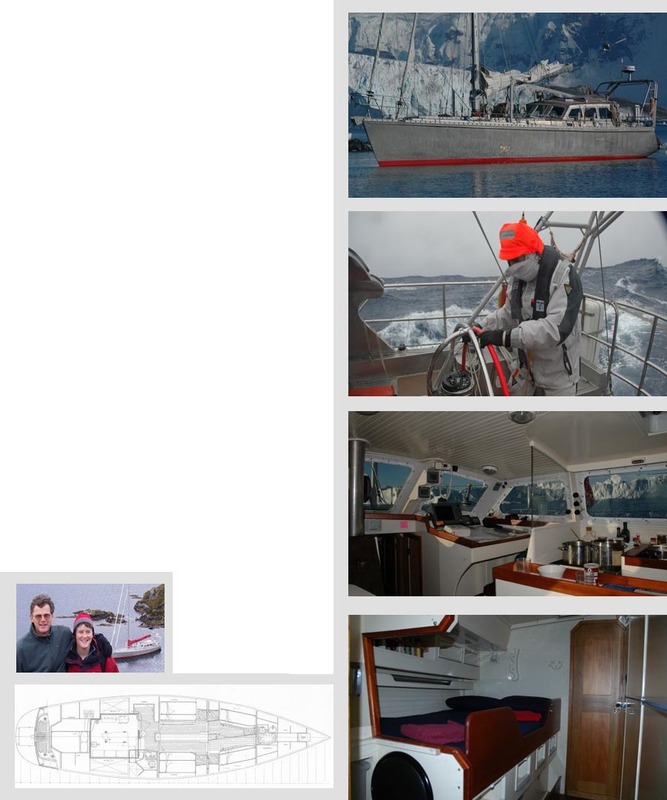 In addition, he's sailed on several superyachts to Antarctica as the "Ice Pilot" for filming and touring expeditions. He holds an Ocean Yachtmaster Commercial certificate. Kate has crewed on a many different boats, from a square topsail schooner to whale watching boats, sailed as a foredeck hand in the Southern Ocean, and spent many seasons singlehanding a 28-footer on the coast of Maine. She met Hamish on a trip to Antarctica. She holds a USCG 100 ton master's license and a Yachtmaster certificate.